At the same time, some of the new Windows 8 features have some additional requirements. 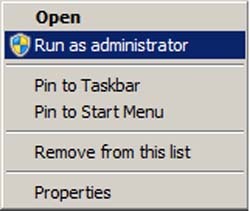 However, in this article, let’s discuss one of the specific requirements for the embedded Hyper-V feature that usually Windows 8 Client offers. We can use this to have a CPU with the Second Level Address Translation (SLAT) capabilities. The main thing we have to remember is that SLAT can also be enabled in the BIOS. We should also remember that SLAT is a requirement from the Windows 8 Client perspective. Therefore, installing the Hyper-V role in the Windows 8 Client without having a CPU that supports SLAT isn’t possible. Although SLAT will affect the VM performance while lacking, we can still run the Hyper-V role on a Windows 8 Server without SLAT. Second Level Address Translation or SLAT is a better known technology that was applied on the Intel and the AMD processors. The SLAT technology from Intel is represented as EPT (Extended Page Table). If you’ve any processor that supports virtualization, you can get this technology. The processors can be i7, i5, i3, Pentium G6950 and other appropriate Xeons as they support VT. Unfortunately, VT is not available in Core 2 based or other earlier Intel processors. The same technology for AMD is represented as RVI (Rapid Virtualization Indexing) technology. It is available in their third generation Opteron processors codenamed Barcelona. In order to check this, we can go with the free tool called Windows Sysinternals Coreinfo (currently at v3.04). Using this tool, we can determine if your CPU supports SLAT. You can download Coreinfo from the official technet.microsoft website. • Once the download process is finished, it is required to open the command prompt with the elevated credentials by clicking on Start -> type CMD, then right-click Command Prompt and select Run as administrator from the menu. Note: If you run Coreinfo on an AMD based computer, we’ll get a value called NPT (Nested Page Tables) instead of EPT. Once you confirm this thing, you can go ahead with installing Windows 8 Client/Server beta in your computer.